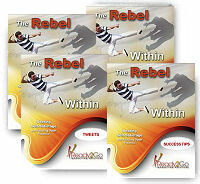 Special Report: The Rebel Within - Beating Self-Sabotage and Reaching Your Potential from Ready2Go Marketing Solutions, Inc. The negative self-talk that plagues the minds of every person on the planet can be painful, and downright crippling. It can (and will) drive some people crazy & rob them of their dreams, which is exactly what makes it so dangerous. Left unchecked, this voice will throw a wrench in every endeavor you’ll ever pursue. It will try to sabotage your relationships, ruin your opportunities, and leave you miserable, wrecked & wondering what could have been. This is why we must learn to manage our inner critic. This special report is designed to tackle the topic of the inner critic by looking at how and why we talk down to ourselves. 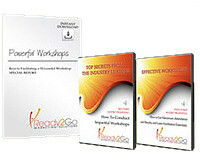 It also explores how to be more realistic and truthful with ourselves, and more accepting of our gifts and shortcomings. Basically, we learn how to keep the self-saboteur at bay. learning the 7 signs of self-sabotage. implementing 4 simple, yet powerful techniques to keep the inner critic at bay when it rears its ugly head. 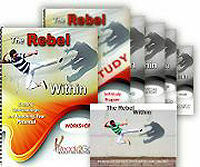 increasing their awareness of how their inner critic is leading them to sabotage their success. exploring a 4-Step process to get the negative voices on their side. As a result, your clients and prospects will be able to make friends with their inner critic and, instead of being paralyzed by it, learn how to leverage it.